The George stick logo resides on the handle of this attractive cotton webbed lead. 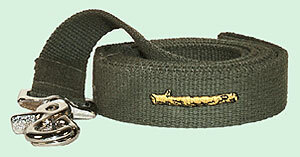 Easy-to-use clasp is nickel plated. Click here for matching lead.